This entry was posted in DIY Projects, DIY Theme and tagged DIY fairy houses, fairy houses, miniature house, papercrete, papercrete containers, papercrete fairy house, papercrete miniature house, papercrete planters by Marthe Hook. Bookmark the permalink. love it is portland cement very expensive? Marianne, Portland cement comes in 40kg bags at Home Depot for under $13. 40 kgs will make A LOT of papercrete!And cheap sand (sharp sand from Home Depot)can be substituted for some or all of the pearlite or vermiculite, but the result will be heavier. 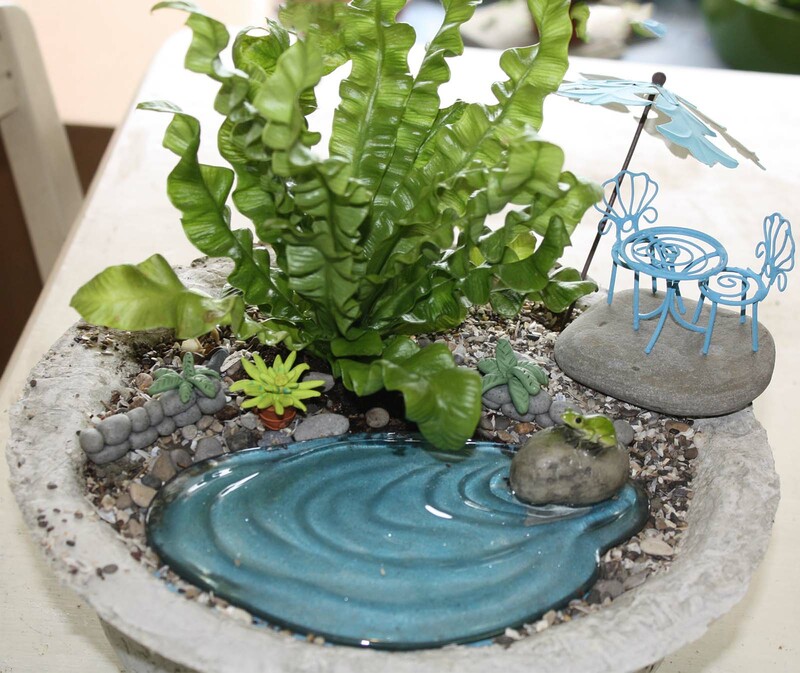 All in all I estimate that a 12″ planter such as the one pictured with the pond probably cost about $4 to make. Very cool! I cannot wait to try this! I was wondering what consistency is the pulp? Is there a relative relationship between the amount of paper and water used to make the pulp? Thanks! Lovely work! Two ?’s…. What type of glue would you use to join pieces? How are your hands at the end of the project, do you wear gloves? Thanks for your sharing! cement will ruin your jewelry very quickly, even wearing gloves. REMOVE your jewelry anytime working with cement. Where can you buy the fairy house molds? 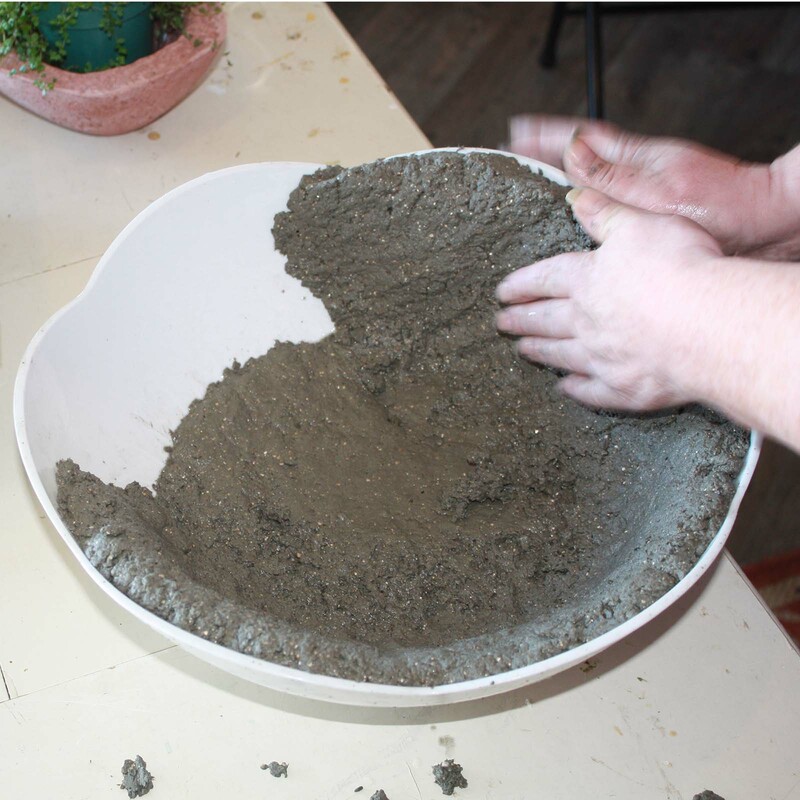 I make a lot of hyper tufa but this looks like i could do this indoors…. I am tired of winters in Ohio! Thank you! Thanks for the great info! Very well explained. Do you think this recipe would work to make a raised bed for gardening or edging around my flower beds? I’m just now finishing my first pot and I’m hooked. I can’t wait to explore this medium. How i can color the house? thank you! Oh yes. It’s great fun. Free hand houses would be just the ticket for you. Take a look at Walkers Way weeds ) there is a link under blogs I follow on the right on my blog. You will see some ideas. 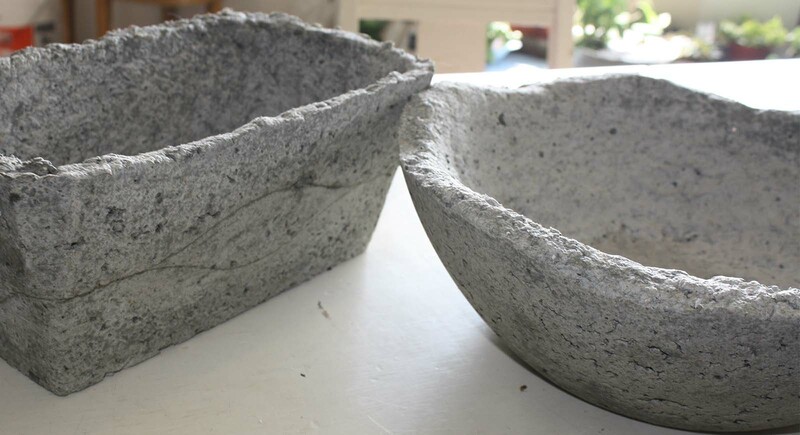 Simply crunching up news paper can make a form that you put papercrete over to make a hobbit home or fairy house free hand:) have fun with paint mixed into the papercrete or paint it afterwards and seal it with a spray sealer suitable for out door use. 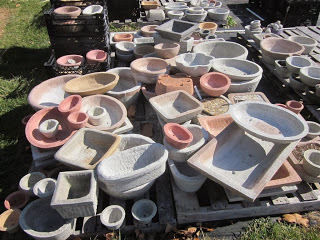 Like the hypertufa pots, is there anything that I should avoid using as a mold? It has been suggested with the hypertufa mix I should avoid using any metal for molds. How heavy is a papercrete planter? Thanks for the post, detailed enough that even I might try it! ha. Looking forward to it! Thanks for answering all the questions. You are a courage giver! Hi, I love this Idea! Yes I was also interested if it could be used for scelpture! Making larger pieces of papercrete scuptures or pots will benefit from a form or reinforcement with platic or metal mesh within. A good way to become informed about larger uses for papercrete is to investigate (Google) papercrete full scale house building. This is where I first became aware of papercrete! They make wall panels, bricks, and roof panels with papercrete! 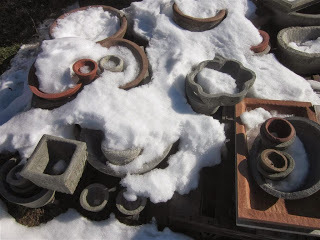 Pingback: Papercrete for Fairy Gardens - U Wanna Know What? Hi, thanks for this interesting article. One question I have, is papercrete a lot heavier than hypertufa? I think it is lighter! I’ve seen Portland type I, type II & III for sale, does it matter which type? 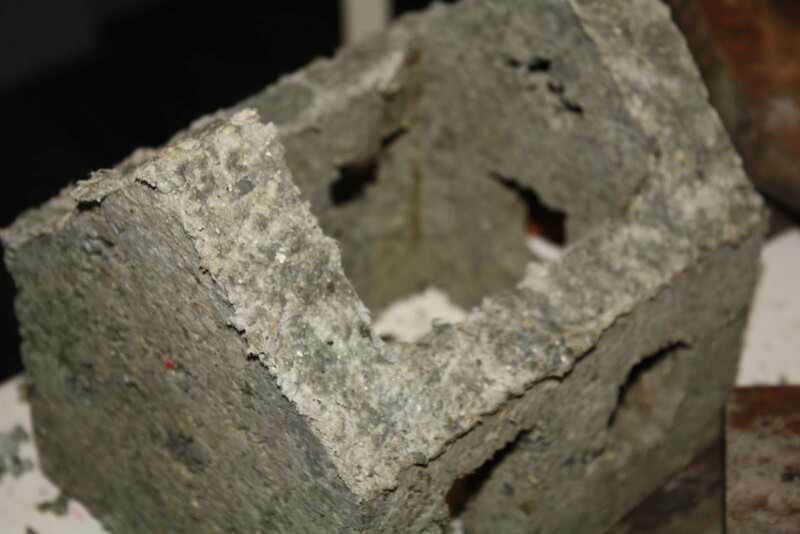 Is Quickcrete Portland cement acceptable? Pumice ..that sounds like a great idea! As long as it does not add too much weight. There are many options for additives..sand even. Each one will create a different texture. Any paint will do! The high content of paper will make it soak in. If you want to keep it from fading in the sunlight a spray or brush coat of out door sealer for waterproofing will work. 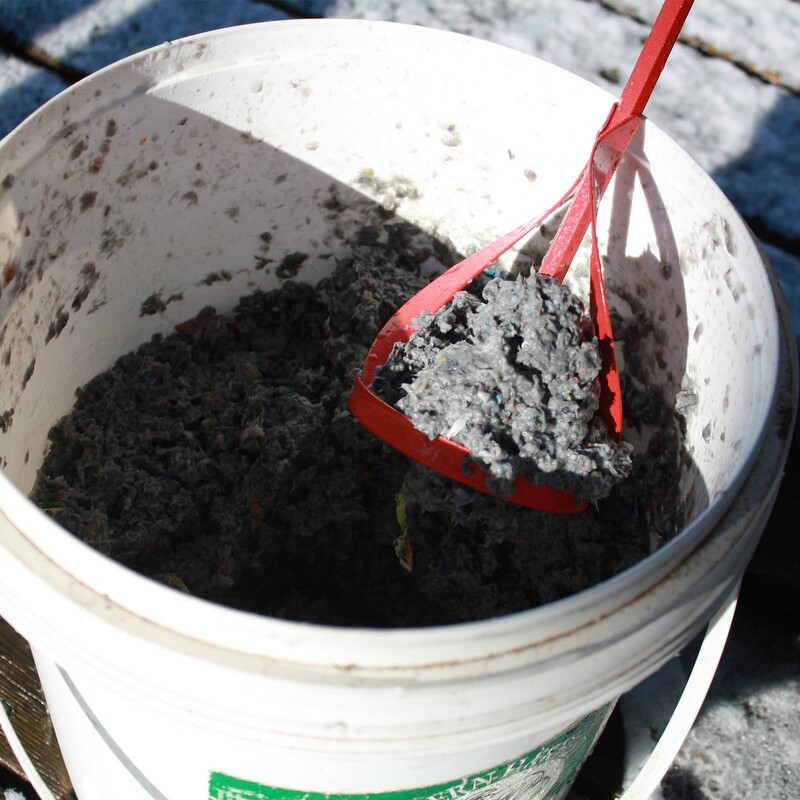 For those of you in cold climates…careful… one of the greatest advantages of papercrete is that it will not crack when left out in the cold… putting a sealer on might defeat that.